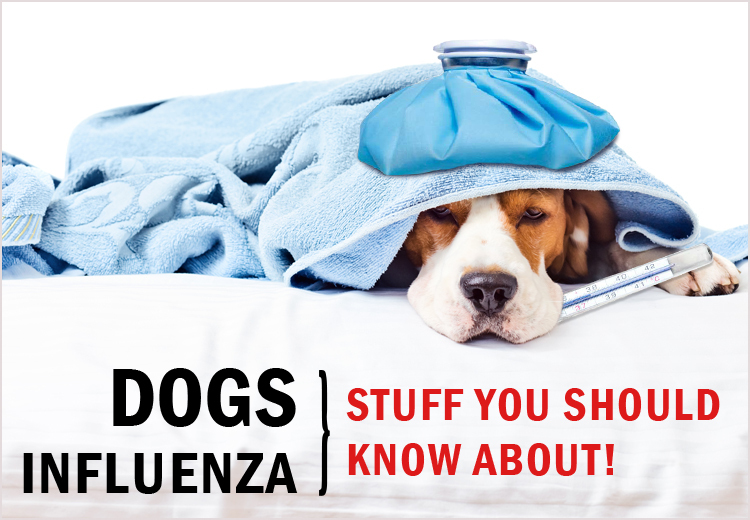 There are two types of canine influenza or dog flu in the United States of America, H3N8 and H3N2. The veterinary researchers had introduced H3N8 vaccine years back and it is being treated successfully all over the country. On the other hand, H3N2 virus was first detected in South Korea in 2007 and in the USA, the outbreak was in April 2015. Being genetically different from the human H3N2 seasonal virus, the vaccine for H3N2 canine influenza has not been introduced yet. These three to four months must have been very difficult for the pet parents living in Chicago as the outbreak of H3N2 virus was reported there. According to the Medical District Veterinary Clinic in Illinois, the previous month was free from suspected flu cases, but they had one positive case before two weeks. And following that case, there were 6 suspicious cases for canine flu subsequently. This virus has mostly affected canines, but some felines too were not able to escape it. To protect your pets from this flu, basic information about it is essential. So, let’s check the symptoms and influenza treatment for pets! How will you know that your canine is infected with H3N2? Look out for these signs in your canine and consult your vet immediately. The sneeze or cough may seem normal, but get it checked for your satisfaction and your pet’s safety. Is there any specific treatment for canine influenza? There is no specific vaccine or treatment for infection of H3N2 in canines. It could be controlled only through supportive care and isolation. Isolation and intensive care will stabilize the immune system of infected pets and the response to the virus may change. Light medication and fluids to keep your pet hydrated may be included in the initial care if your pooch is undergoing the milder form of the disease. In case of secondary infections, your vet may prescribe some broad spectrum antibiotics for your pooch. If there are no vaccines for H3N2, how will you protect your furry friends? With cases still being registered for H3N2 canine influenza, you may need to take care of your furry friends. It is recommended to stay vigilant for any of the symptoms mentioned above. With the perfect blend of prevention measures and care, H3N2 may not infect your dogs. Stay vigil to keep your furry friends safe!